The Veteran-Cycle Club is an international organization dedicated to research in cycling history, restoration, and riding old bicycles from all eras. The V-CC publishes two journals, News & Views and The Boneshaker, which cover all aspects of bicycle history and veteran cycling. It promotes national and local cycling events; maintains a library of cycling books, journals, and trade literature; publishes and distributes pamphlets and books; and has a roster of marque enthusiasts who collect documents on cycle brands and help members to identify and date their machines. V-CC local sections ensure the continuing use and appreciation of older types of bicycles, and carry on the traditional, sociable club run as the center of cycling life. The New England Section is the only local section of the V-CC outside the British Isles. 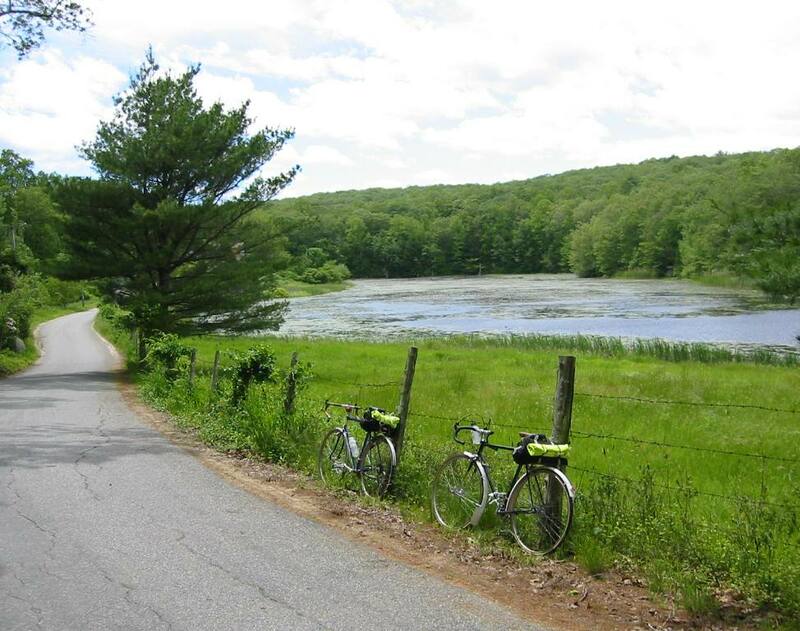 It organizes a regular schedule of club runs on all kinds of old bicycles, in all seasons, on city streets, country roads, and woodland tracks of eastern Massachusetts, with occasional forays farther afield. Our run schedule is published in the bimonthly club magazine, News & Views. If you like to ride old bikes, look at your surroundings instead of a bike computer, and eat real food on a ride, you might enjoy riding with the V-CC New England Section. Membership information is here. If you would like to try an outing with us, send an e-mail to this blog; we'd enjoy having you along for the ride.